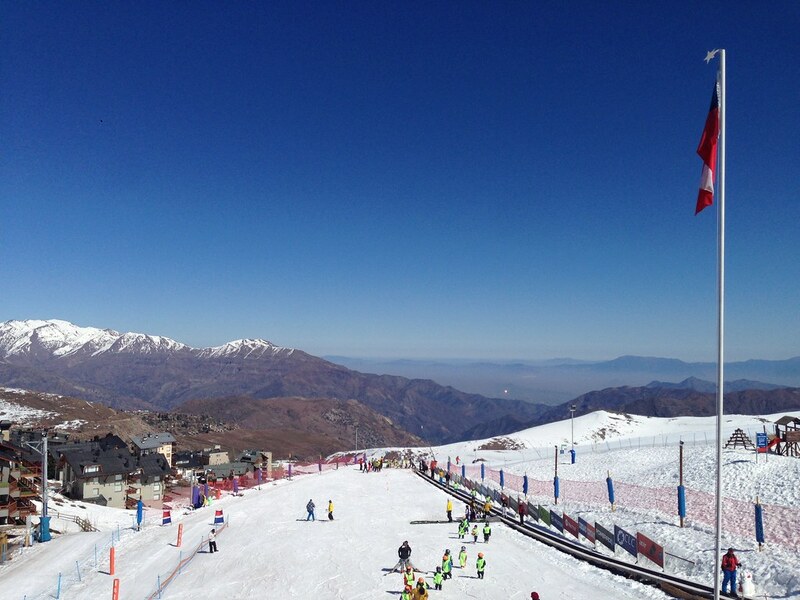 La Parva is located north-east of Santiago, up on the Andes mountains in an area known as the 3 Valleys (not to be mistaken with France’s Les Trois Vallées). 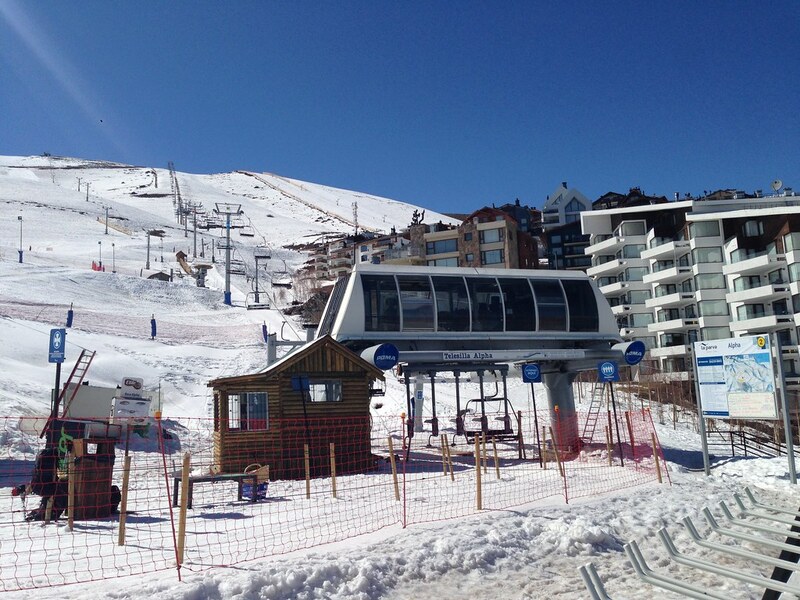 The other 2 ski resorts are El Colorado and Valle Nevado, which I reviewed earlier. This was the second ski resort I visited in the Andes mountains of Chile and probably one of the smallest and most accessible from Santiago. Due to its accessibility, there are various shuttle services bringing day skiers up to the resort. This meant more convenience even when you reach the ski shuttle area slightly later. 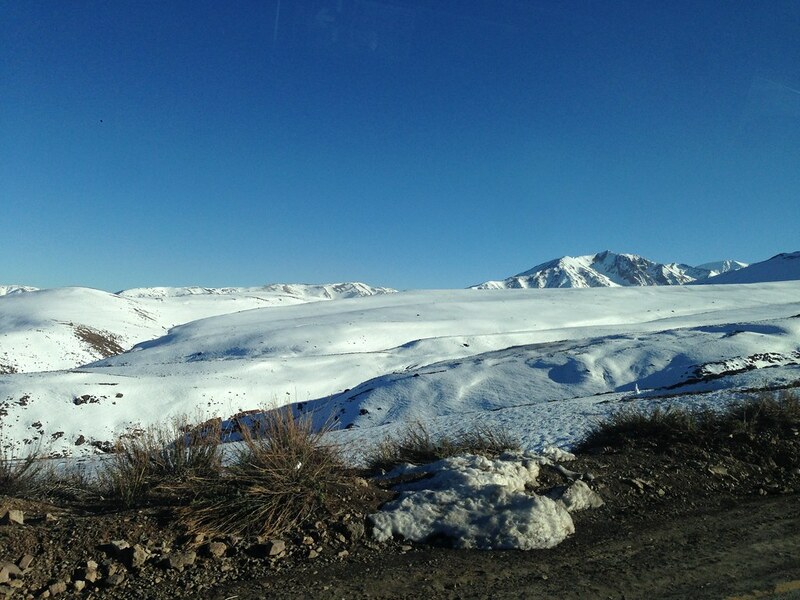 I used the same shuttle company Ski Total, and the first half of the route was similar to the route towards Valle Nevado. However there was a divergence halfway in the mountains and we head towards Farellones where there is a small village that some day trippers (and non-skiers) stop over at to see the sights of the mountains and surrounding valleys. 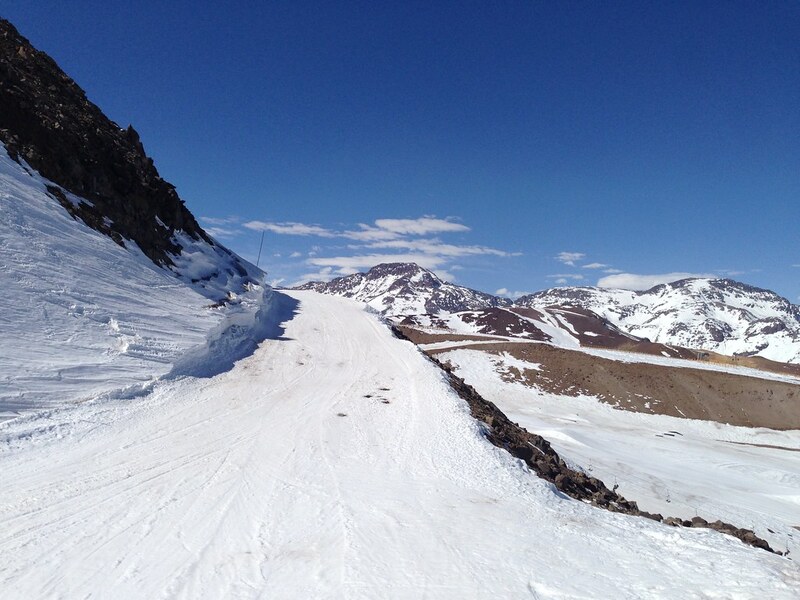 It took about the same time to get to La Parva as it did to Valle Nevado and the journey took about 90 minutes. However the cost for the shuttle was actually somewhat cheaper at CLP15,000 (~$22) for the return shuttle between the terminal to the ski area or CLP22,000 when hotel pick-up is required. 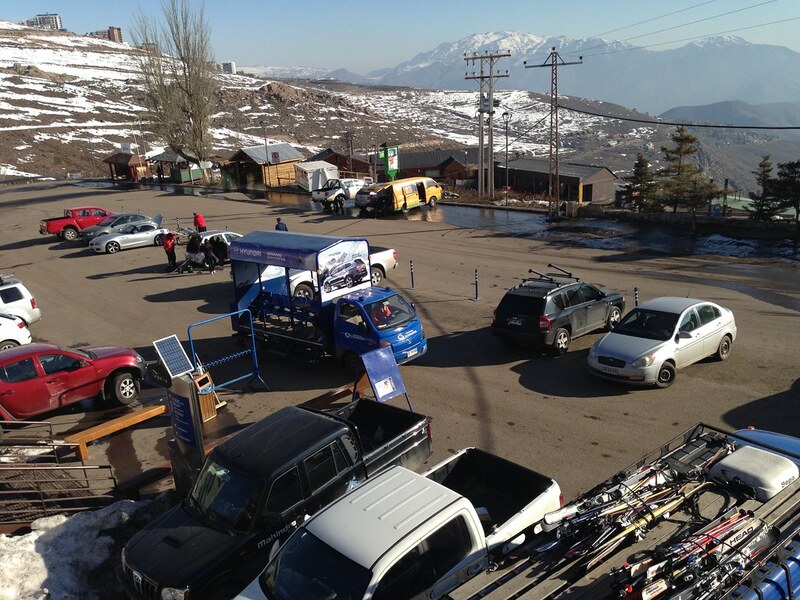 The ski shuttle will drop skiers off at the Sector Parva Chica where there is a ticket booth, rental and ski shop along with lockers. 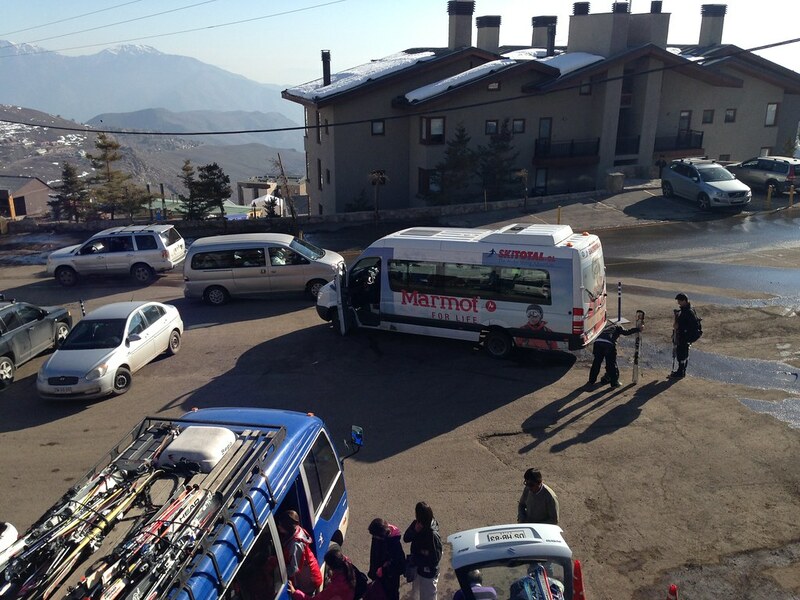 However skiers would need to take a complimentary resort shuttle to get to the other village base at Sector Golondrina. 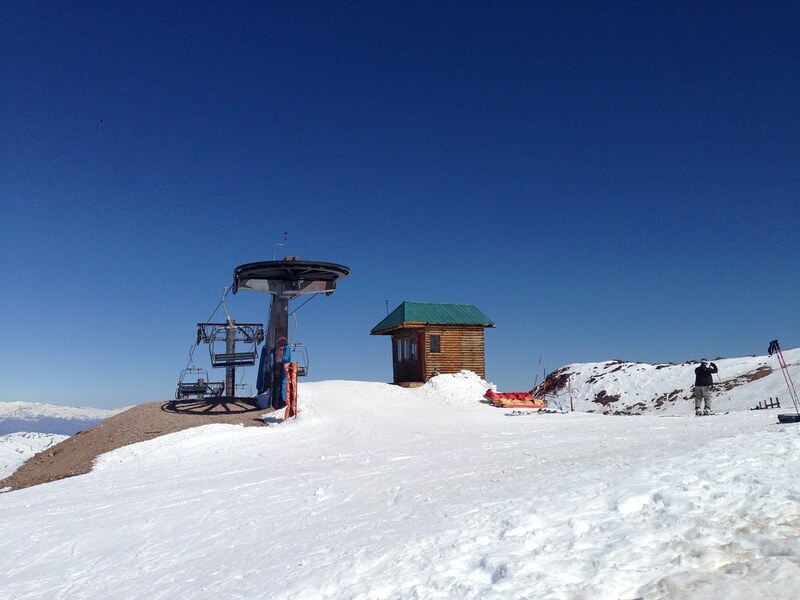 Golondrina seems to be more complete and it is also where the chairlifts starts from. The beginner magic carpet area for learners is also located in this sector. Being a relatively small ski resort, there is no gondola here. Access up to the ski areas are by the chairlifts. There are 2 quad chairlifts in the resort and both are accessible from the Sector Golondrina, which is also where I started the day from. 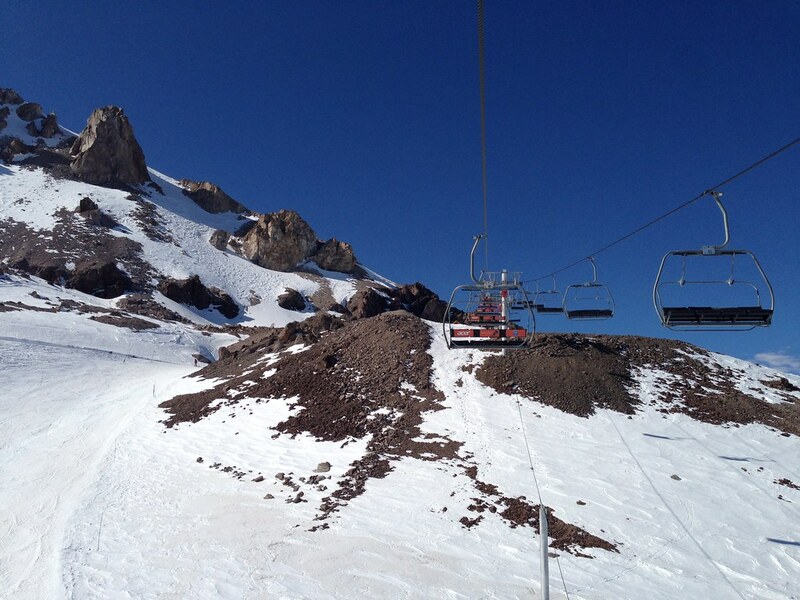 The base of the Alpha 4-seater (quad) chairlift is located just above the rental and ticket area at Sector Golondrina while the Las Aguilas chairlift whisks skiers up to the summit passing by the majestic Barros Negros face of the mountain. 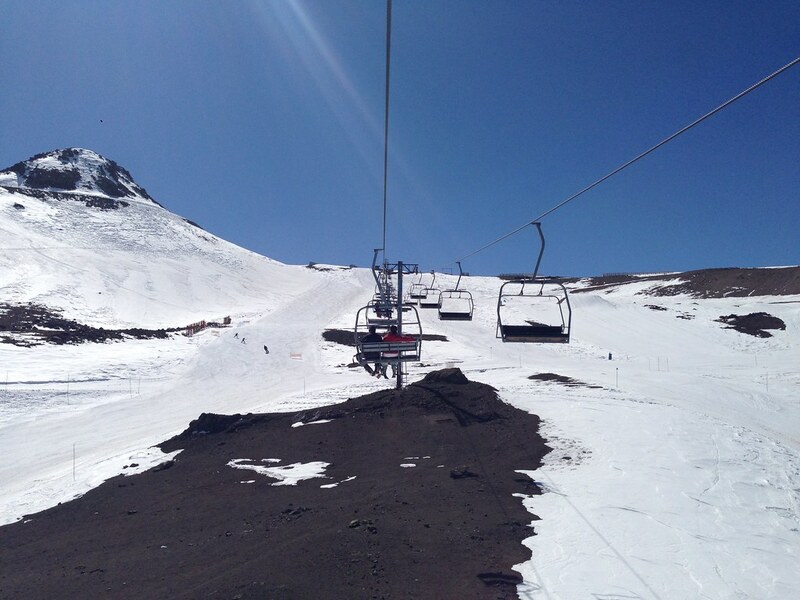 There are a couple of triple chairlifts, one located at the Tortolas section that is closest to the trails that lead into Valle Nevado. 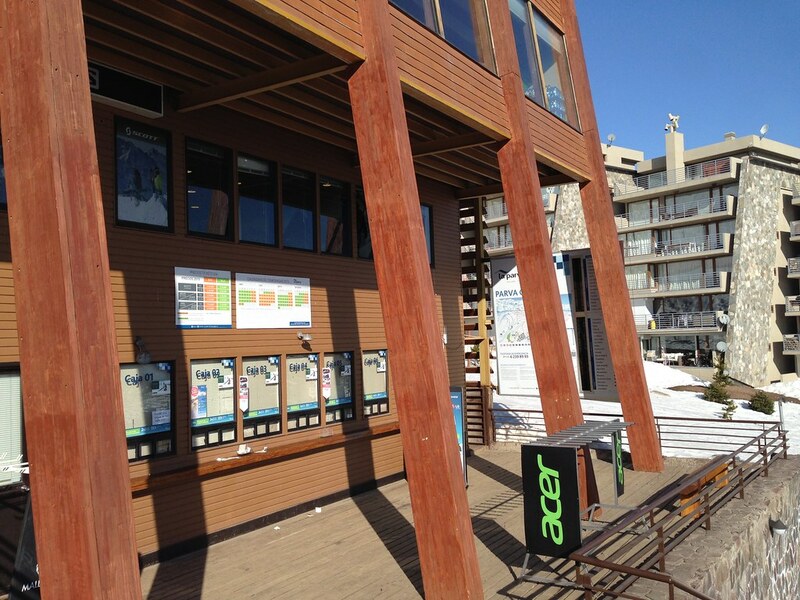 Another triple chairlift is calles Fabres, and provides access to advanced and expert ski runs only. Fabres is also located on the right-most side of the ski resort. 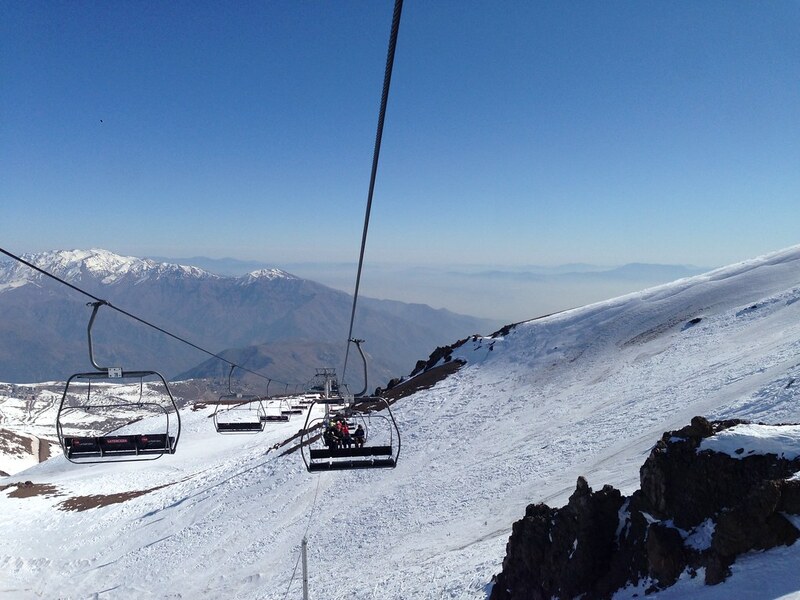 The last chairlift is a dual-chairlift that runs nearly parallel to the Alpha chairlift, while the rest of the ski areas are served by the T-bars which is the most common form in Chile. Single day lift ticket prices was CLP30,500 (~$45) for a weekday low season rate, or CLP42,500 for a weekend high season rate. This was slightly cheaper than Valle Nevado’s lift ticket prices. 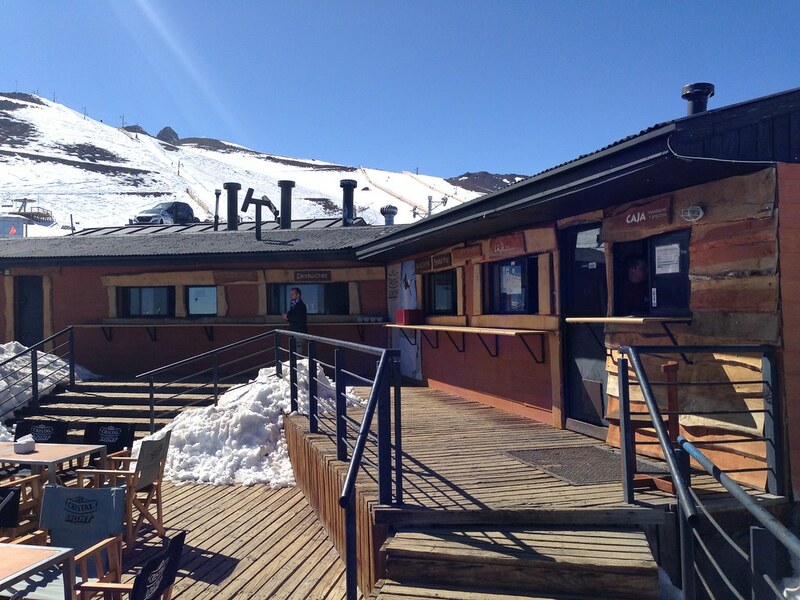 On the weekday, La Parva’s ticket prices was a steal and similar to Valle Nevado, there are discounts for skiers depending on the day you visit. Mobile phone users logging onto the Movistar network also gets special discounts in La Parva. The main beginner and learning area is just right by the Sector Golondrina, stretching well into Sector Manzanito. This area also opens itself for night-skiing. 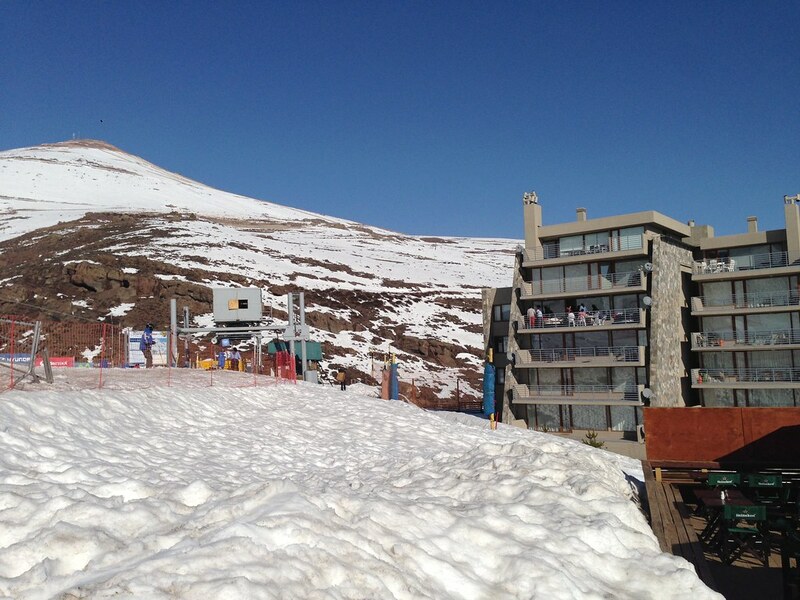 However, I did not stay in La Parva and did not manage to partake in the night skiing here. The main learners area is served by a magic carpet and they even have a couple of T-bars for those who are progressing in the sport. The slopes are quite wide and it was relatively empty compared to Valle Nevado, making it more conducive for learning to ski/snowboard. There are no other green (beginner) runs up top, unlike some resorts which have designated green runs in other parts of the resort. Intermediate ski trails in La Parva is similarly segmented into the easier ‘Blue’ runs and the advanced ‘Red’ runs. In this case there are definitely more of the red runs which are longer and comprise 43% of the resort. Blue runs comprise only 15% of the resort and the longer blue runs are cat-trails for traversing from one chairlift to the other like Camino La Muela in the summit connecting the top of Las Aguilas with the top of Tortolas. Another cat-trail is Camino La Bandera connecting the mid mountain lodge and the top of Alpha chairlift with the bottom of Las Aguilas chairlift, both of which are the only quad-chairlift in the resort. The real piste markes as easier intermediate runs would be crowded around the Tortolas chairlift and the Franciscano T-bar. There’s plenty of terrain here with spectacular views of the mountain and makes for a great spot for riders and skiers to scope the terrain while doing some warm-up laps. For the longer runs, intermediate skiers would do well to end the day on the Autopista del Sol which gives some nice views of the village and the mountains, as it traverse the mountain from the base of Barros Negros to Sector Parva Chica. I would generally reserve this run for the last run of the day since it Parva Chica side has no chairlift access back up to the mountains. 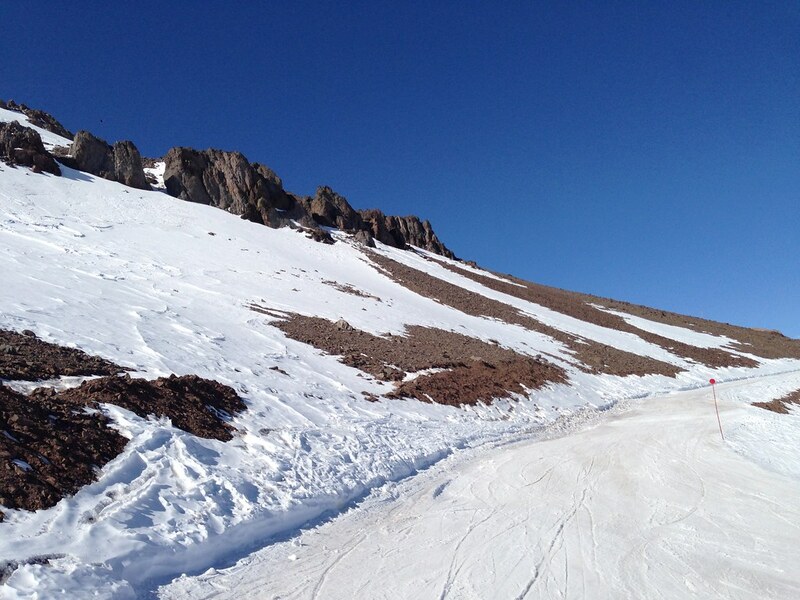 Due to the lack of snow cover, there were many runs closed as some of the terrain was bare. Considering I only spent one day here, there was no chance of me trying out all the ski trails. Early on in the day, some of the runs at the top are actually closed for some racing as well, and I only had the chance to go on some of the intermediate runs in the afternoon. My favourite ski run was actually the Barros Negros run from the top of of the Las Aguilas chairlift to the base of the same chairlift. Though the terrain is marked as red and black, I think they are quite easy for experienced and skilled skiers. They provide some fast skiing and really wide runs that are also less tracked throughout the day. 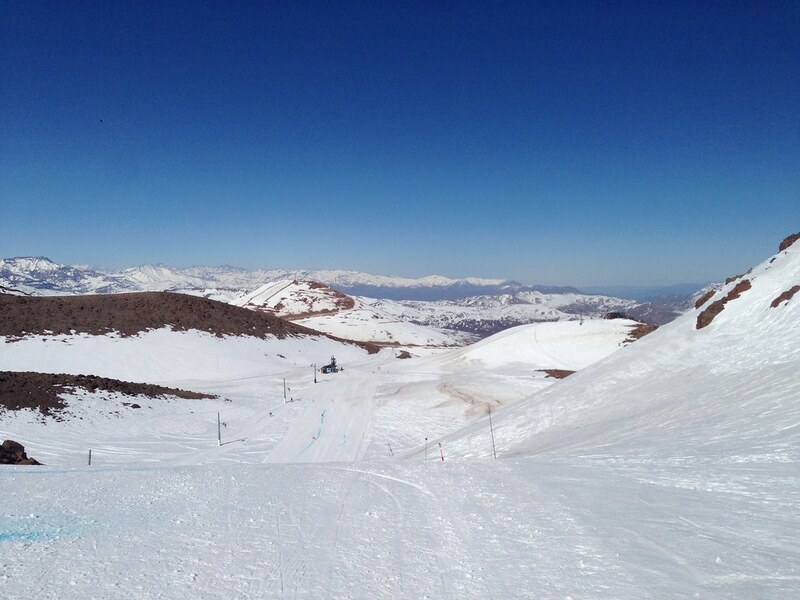 With a tree-less terrain due to the same geographical location like Valle Nevado, there are little bumps or tree runs here. Groomed-like pistes are more common, and I have to say most of the marked runs are generally not as steep, but some does provide enough speed to keep it interesting. One ski area that I did not visit was the right most one that is served by the Fabres chairlift. 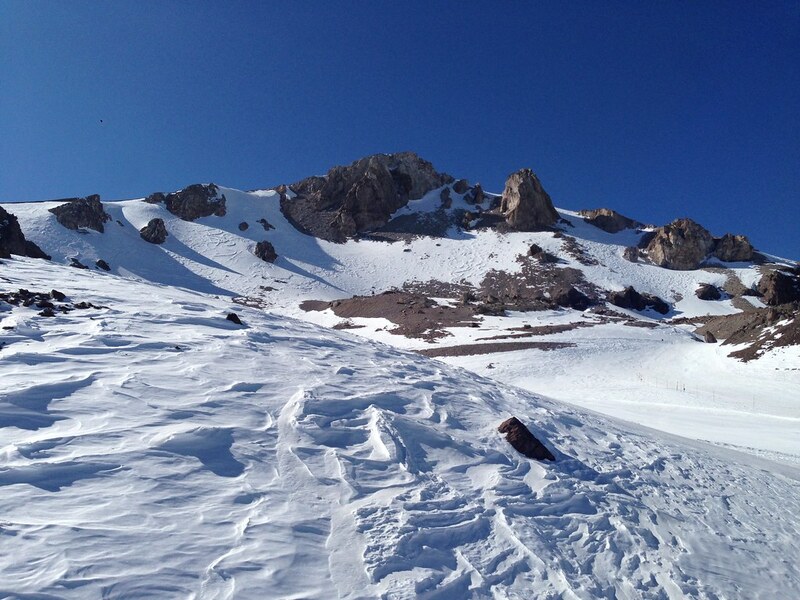 Instead I spent most of the day skiing Barros Negros and the Vegas runs that is served by the Vegas T-bar. 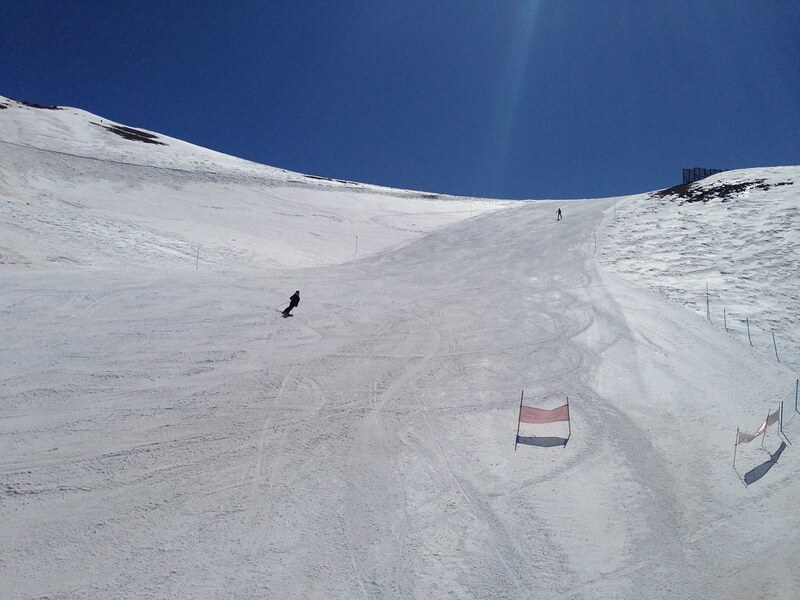 Some of the advanced red-marked runs can also be quite steep at certain sections. That means on short segments of the red runs, the ride can be exhilarating! And that was why the some of the races are held in trails like El Descenso. The longest black expert run would be the Manantiales ski trail that requires a bit of a hike to access. This run brings skiers back from the top of the Las Aguilas chairlift to the base of the chairlift, and is probably about the same distance as the red-marked Barros Negros run. 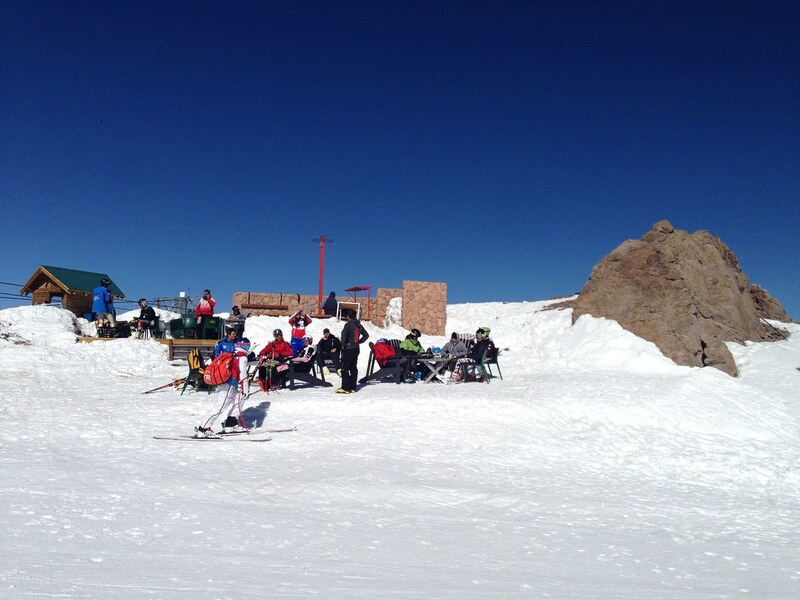 For a small resort, there is only one eating and resting space in the mountain. The main lodge is located at the top of the Alpha chairlift and there is an outdoor patio with a deli selling burgers, sandwiches and drinks. That is the only on-mountain lodge though it can hardly be considered a lodge as there is no enclosed area, but it was sure nice to enjoy the sunshine when it is clear and blue outside. Aside from the small deli on the mountain, most of the F&B outlets are located at the 2 sectors at the base of the resort. Sector Golondrina houses the Restaurant Café Olímpico which is a bistro style cafe serving fast food and snacks, while most of the sit-in restaurants are found in Sector Parva Chica. 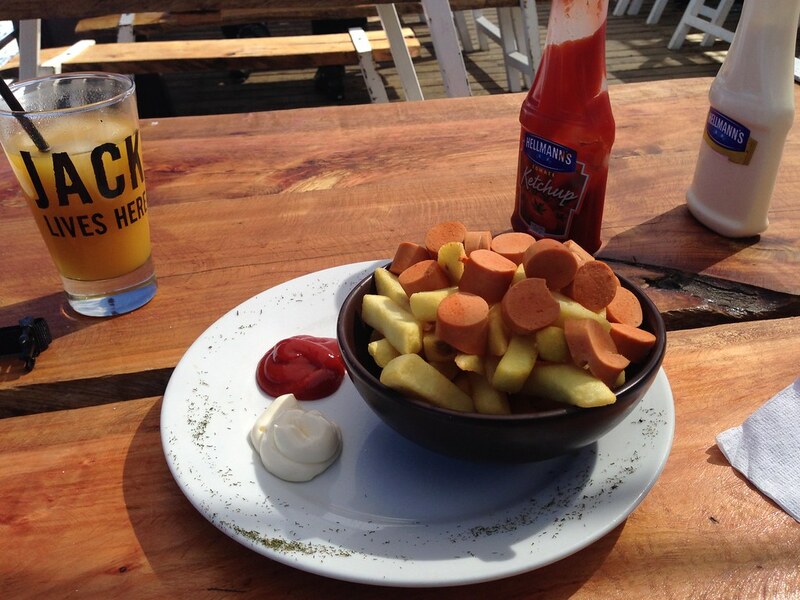 Since I was planning to get back on the slopes, I had a quick lunch comprising of sausage and fries topped with mayo. It is just basic ski food and not anything memorable. But it was enjoyable to see the view from the outdoor patio where I had my lunch at. La Parva is small and as far as I can there is no large hotel or apartments for tourists or skiers. 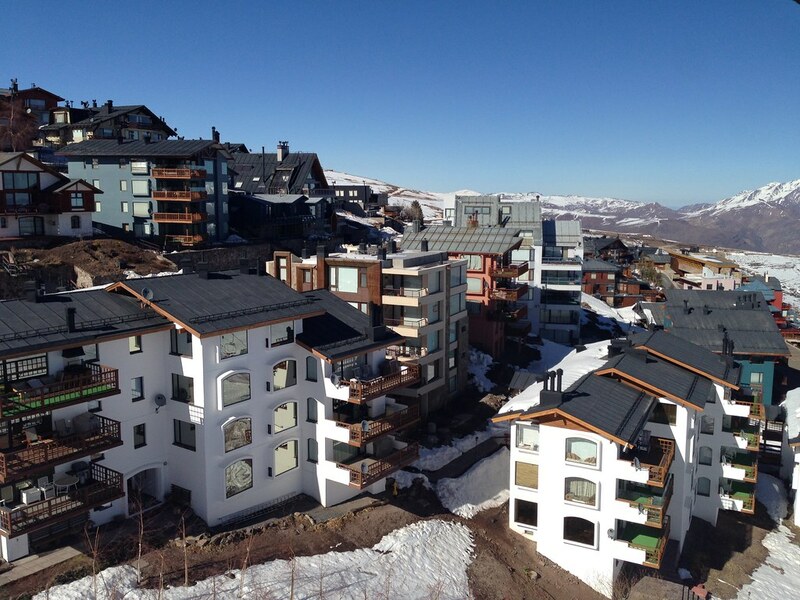 The whole base resembles a small residential community with neat condominiums around the slopes. I believe there are some of them available on Airbnb if one is planning to stay overnight in La Parva to enjoy the night skiing. However I would suggest skiers buy some groceries and be prepared to cook their own meals since the lack of a hotel would mean there is less choices in terms of eating out at night. On the weekdays, many of the restaurants also look quite empty and might not even be open. Since I visited during the low season and on a weekday nonetheless, the crowds were thin. That also meant a lack of the raucous crowds one would expect aprés-ski. 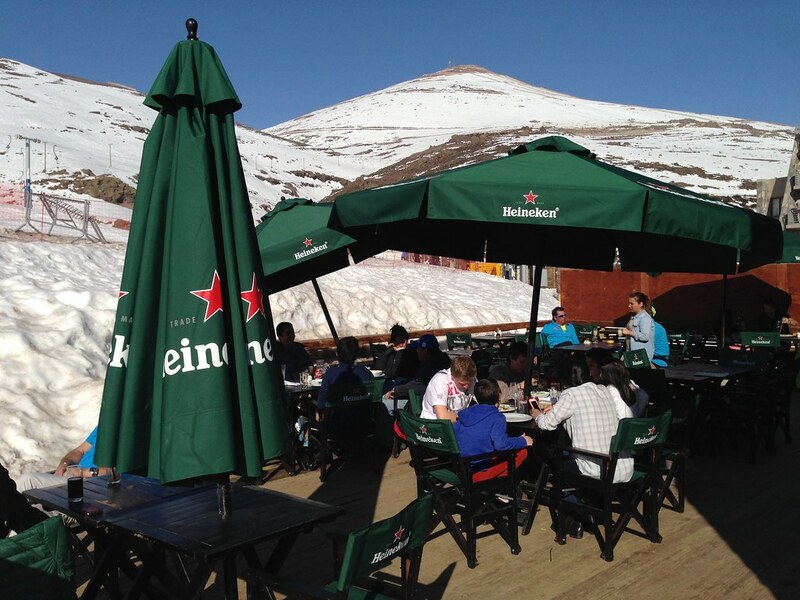 Most of the skiers were just satisfied sitting down with a cup of beer or pisco sour by the patio. There are drinking spots at the base in both Golondrina and Parva Chica. I believe the residential feel of the whole ski resort does mean the lack of crowds at the communal outlets. 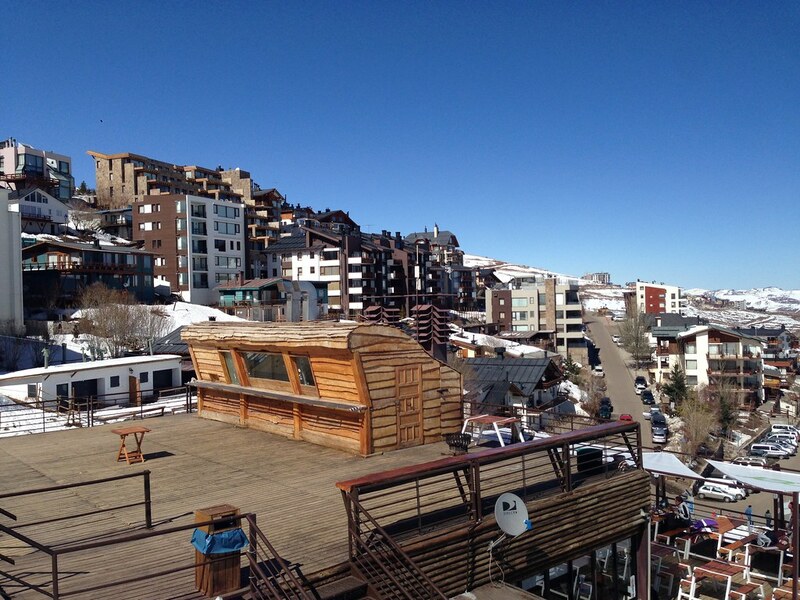 Instead the condominium balconies facing the slopes might see more action, and that just means one should probably get to know the locals here and get invited for any aprés activity! 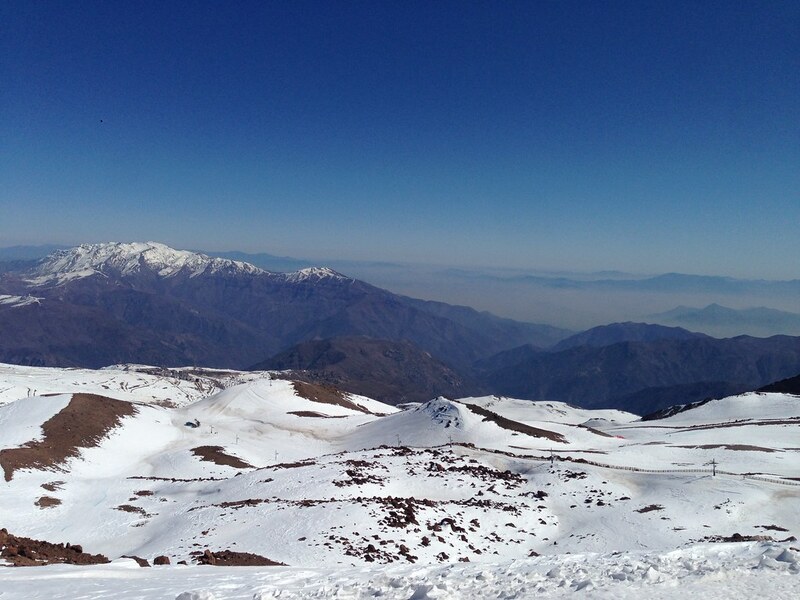 Since the resort has a summit altitude of 3,574 metres, with its base located at 2,653 metres, the views from the top are as spectacular as that from Valle Nevado. In fact even the view at the patios in Golondrina was very scenic too! Some of the best views from the top can be had by traversing the Camino La Muela, which is also the cat-tracks connecting the top of Tortolas and Las Aguilas chairlift. 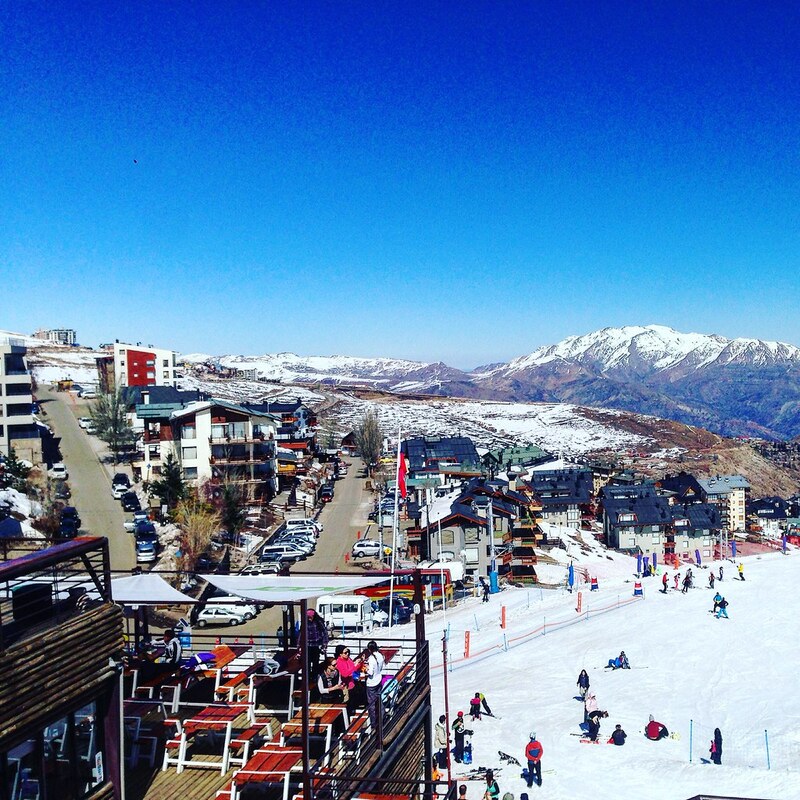 Compared to Valle Nevado, I think La Parva is more suited for skiers and it has a quaint atmosphere to it. While many of the locals here might not speak English at all, I enjoyed the small resort which is easy to get around with their waterproof map. The complimentary trail maps are actually made of a waterproof material so it would not tear easily even if you drop it in the snow. Actually most of the ski resorts in Chile seems to use these kind of high-quality maps, though Valle Nevado uses the conventional paper map. While there is no gondola here, I did not miss the comfort of a covered chairlift all that much since it was sunny outside! My experience at La Parva shows that size does not always matter when the ski trails are enjoyable. 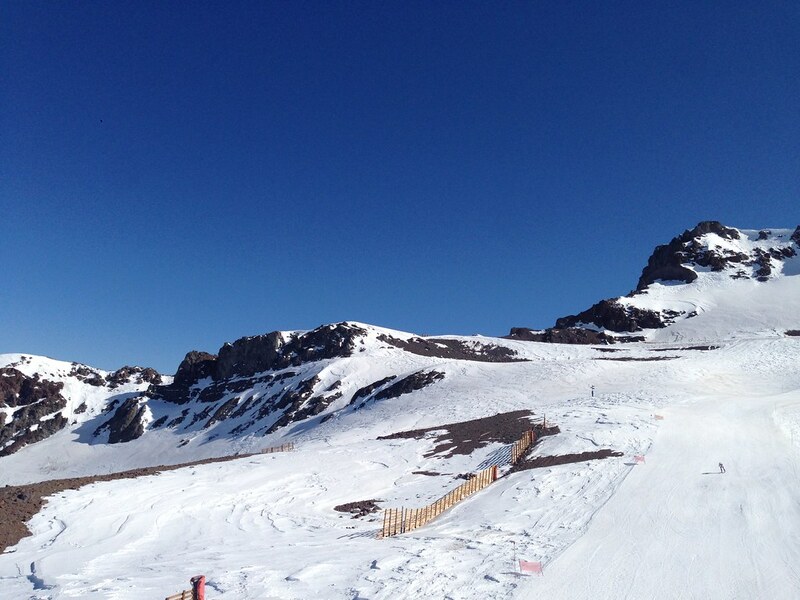 And for me, the numerous intermediate runs and the majestic runs underneath the shadow of Barros Negros makes La Parva a great value for money ski resort in Chile. 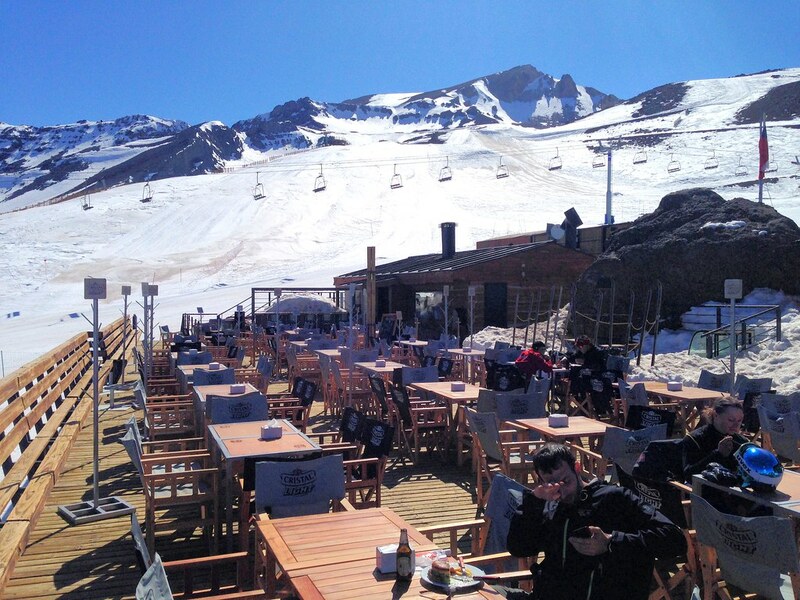 If I am not a snowboarder and staying in Santiago, I would just head to La Parva instead of Valle Nevado for less crowds, beautiful village and cheaper lift tickets!